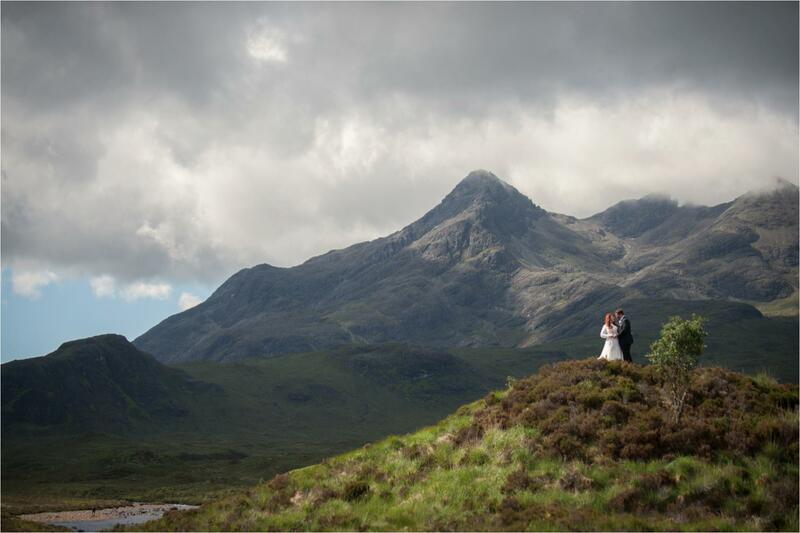 Lou & Sophia eloped to Scotland in June this year all the way from Texas. 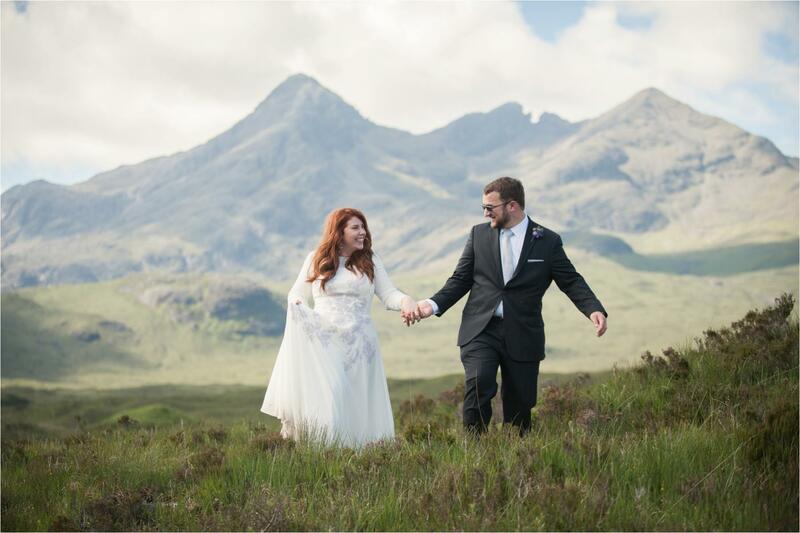 Staying at the Sligachan Hotel in their new Pinnacle suite was a fabulous treat for the couple who wanted to be surrounded by the wonderful scenery of the Isle of Skye. 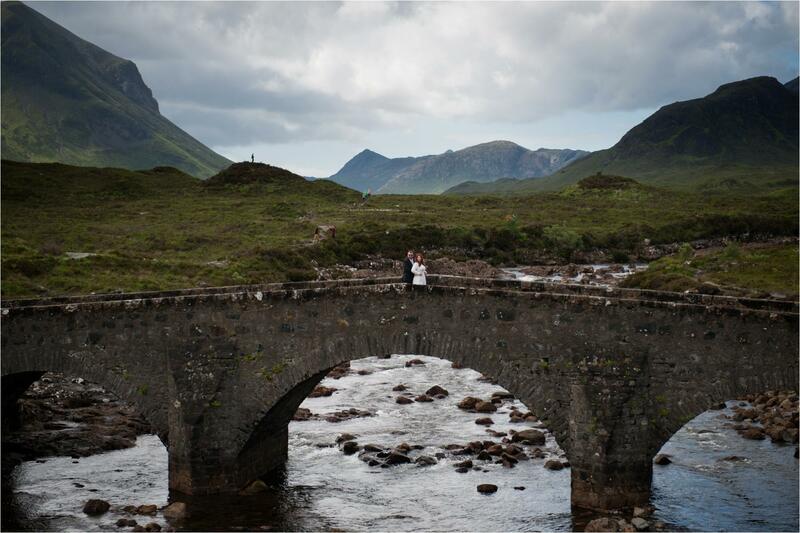 Their choice was perfect as it meant they could have an early ceremony on the Old bridge at Sligachan to avoid the busier times of the day. 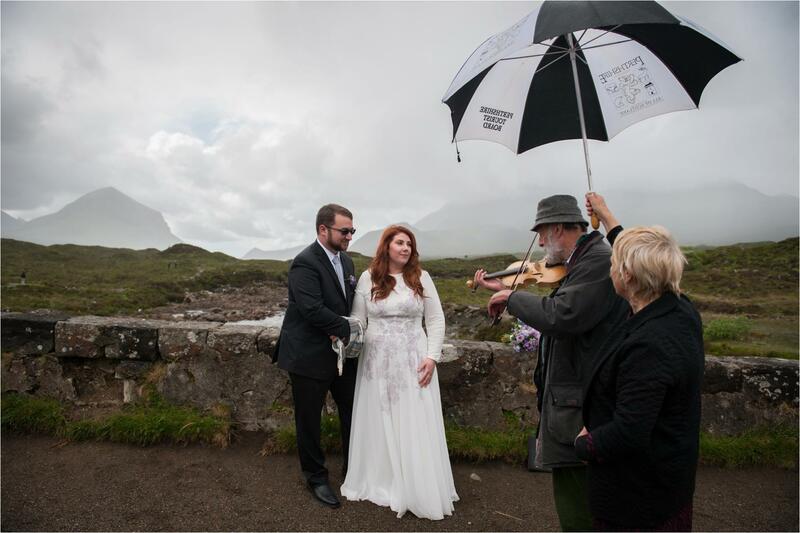 They chose a fiddle player to play at their wedding which was just incredible and unique. Sophia had a very special tune she wanted to hear and the fiddle player learnt the tune especially. 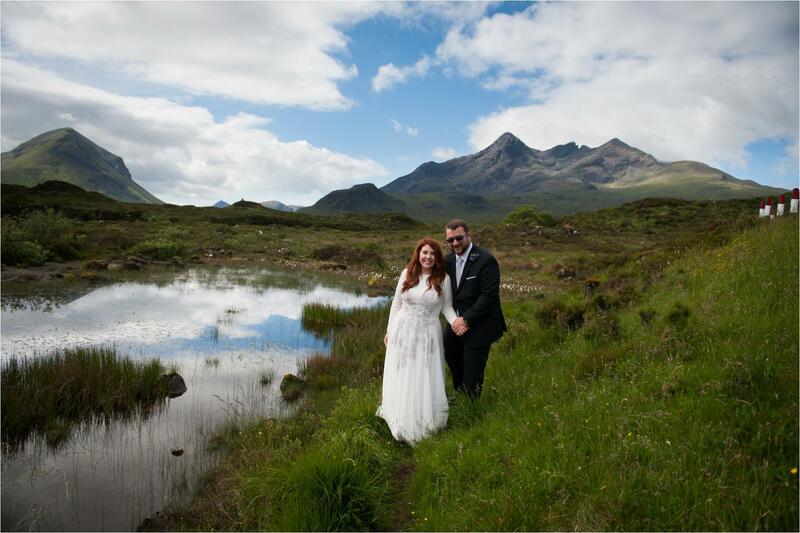 This is the Isle of Skye, so their ceremony was slightly rainy which just added to the drama, followed by a breaking of the clouds and some amazing sunshine. The variety in weather made the day quite unique. We went for a walk after the ceremony to just some of the amazing viewpoints minutes away from the hotel and bridge. It was a pleasure to document this lovely day and I hope you enjoy the photos!